The National Museum of Natural History and Pensoft Publishers are pleased to invite you to attend a lecture of Prof. Andrew Berry, Harvard University — 4th October 2013 from 4:00 PM at the Bulgarian Academy of Sciences — 'Delicate Arrangement': Alfred Russel Wallace, Charles Darwin, and the discovery of the theory of evolution by natural selection'. Remarkably, what is arguably the simplest and most powerful theory in all of science, the theory of evolution by natural selection, was developed completely independently by two Victorian scientists, Charles Darwin and Alfred Russel Wallace. Today Darwin is famous, the face of evolution, but Wallace is very little known. This talk, to mark the centenary this year of Wallace's death, will address three issues. 1. Why was this long-sought theory discovered twice and more or less at the same time? 2. Who was Wallace, and how did he come to the idea? 3. Why has Wallace been so comprehensively eclipsed by Darwin in the popular imagination? Overall, this talk is a celebration of Wallace's life and extraordinary contributions. He was a visionary scientist, bold adventurer, superb writer, and compassionate campaigner. He deserves to be readmitted to the pantheon of great evolutionary thinkers. 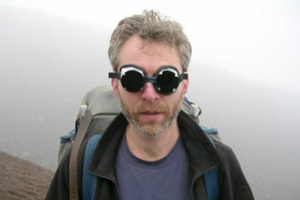 Andrew Berry is a well-loved lecturer and advisor on Organismic and Evolutionary Biology at the Harvard Life Sciences department and historian of science.